Vegetation Station: UPCOMING: Cease Wyss comes to Powell River! UPCOMING: Cease Wyss comes to Powell River! Cease Wyss (A.k.a. 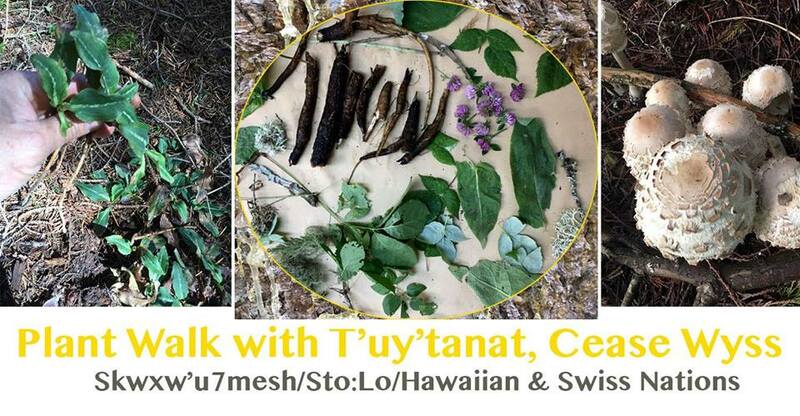 Indigenous Plant Diva) Skwxw’u7mesh/Sto:Lo/Hawaiian & Swiss Nations, is an Ethnobotanist, Media Artist, Educator and Activist. Cease has been building her long term relationship with all things plant-life for 30 years. She currently is the project coordinator for Harmony Community Gardens. She is also the owner and operator of Raven and Hummingbird Tea Co/RHTeaCo. Cease continuously promotes sharing knowledge and culture with diverse communities in the unceeded territory of her people and beyond. Please call 604 414 4263 to register; this will be a great workshop! We will be meeting at the trailhead by the campsite. TheIndigenousPlantDiva from Kamala Todd on Vimeo.